Enable slow analysis to reduce server load. It takes 5-10 times more time than default analysis. Pulno analyzes meta data in accordance with the guidelines of search engines. 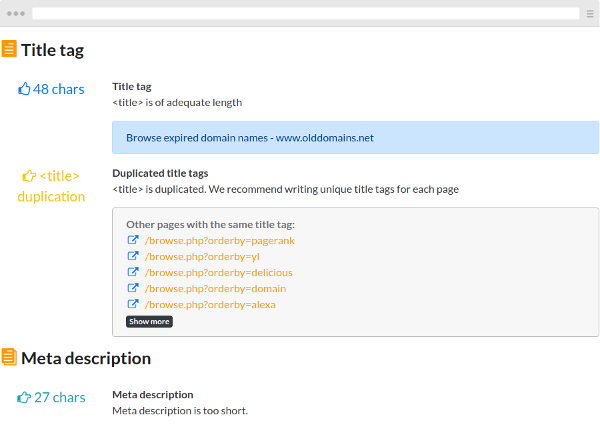 Meta data reports contain information about the presence and length of titles, meta descriptions and headers. 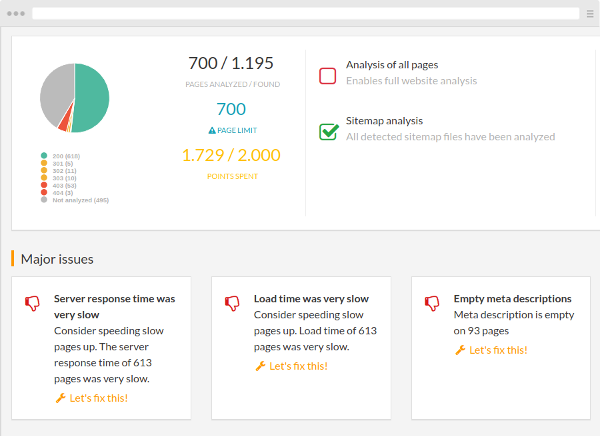 Website performacje is a ranking and usability factor. 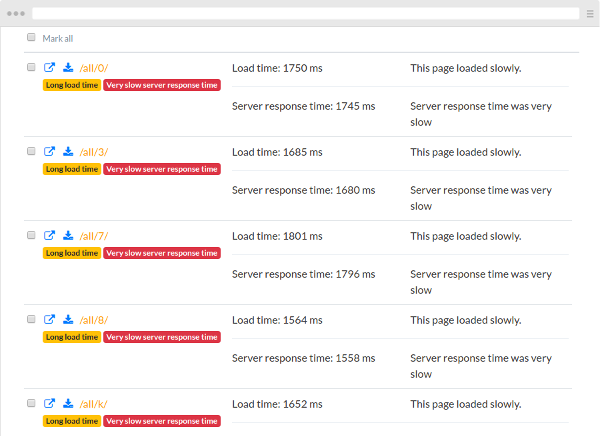 We analyze server response times and load times. Link depth is a crucial parameter in terms of website structure. 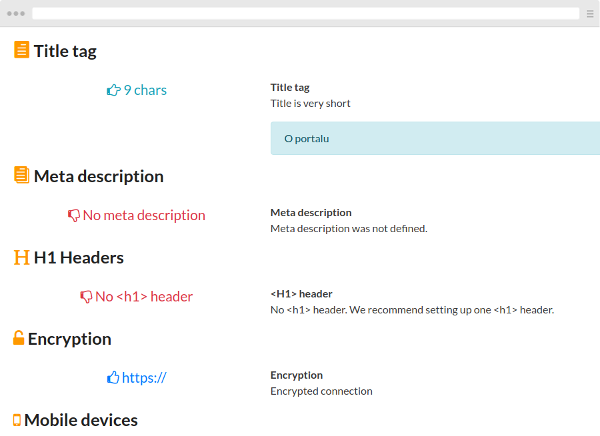 Pulno reports link depth, broken links and orphaned pages. Prepare a checklist with a convenient report containing a list of tasks. Easily exports all issues to CSV, JSON or XLS files. 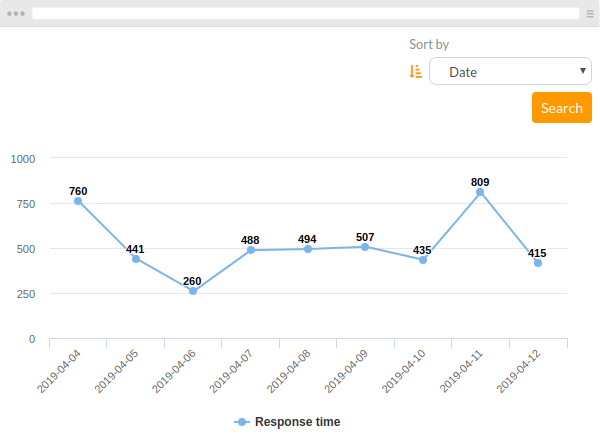 Add a logo to present a personalized report to your customers. We analyze content uniqueness and check for duplicate content on-site. We analyze the length of content on-site and warn about an insufficent amount of text. 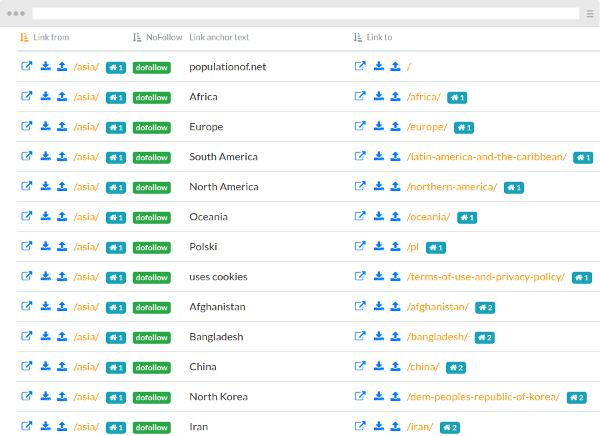 We prepare a list of pages with not enough good content as well as a list of identical pages.. On-site link monitoring. 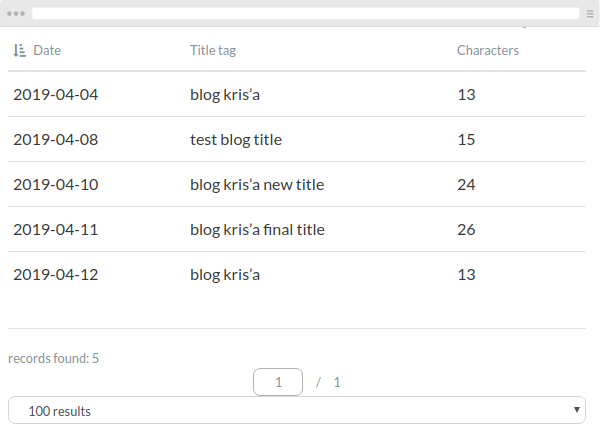 It is possible to analyze changes in the number of links by modification date. 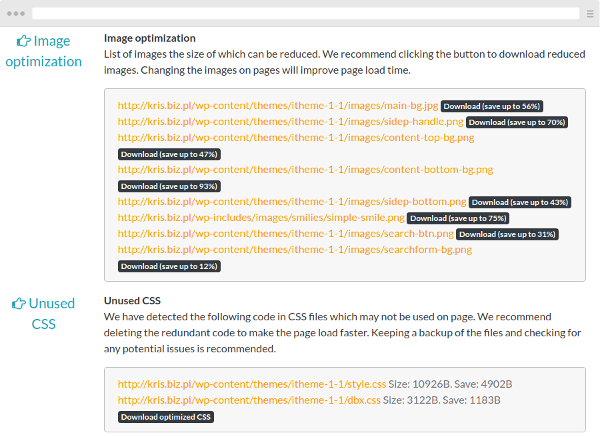 Pulno allows to download optimized images and CSS files in just one-click. 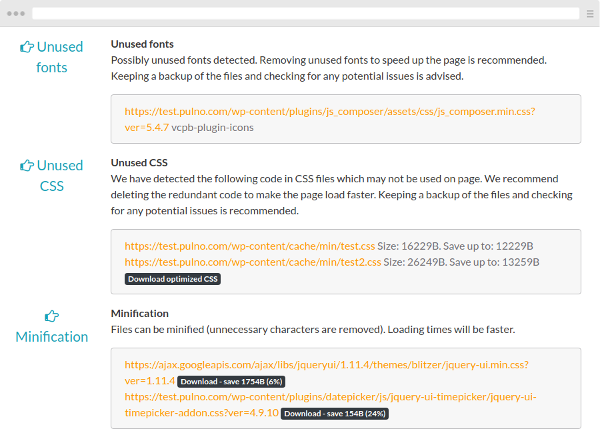 It also detects and removes unused fonts. Periodic check of changes in crucial page parameters. 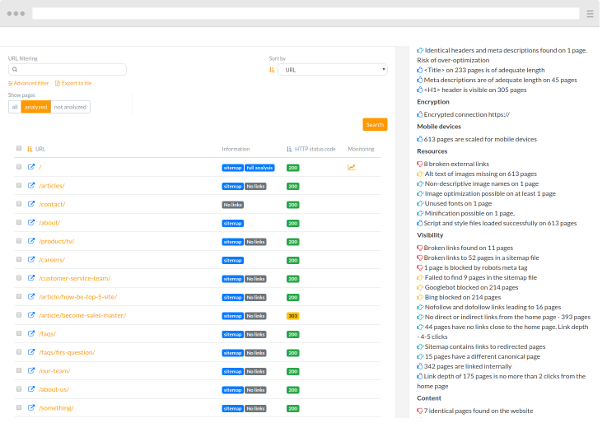 We monitor meta data and content length to allow the user to react quickly in case of unintended modifications. Download optimized image files in just one click. Pulno - pull up your SEO. 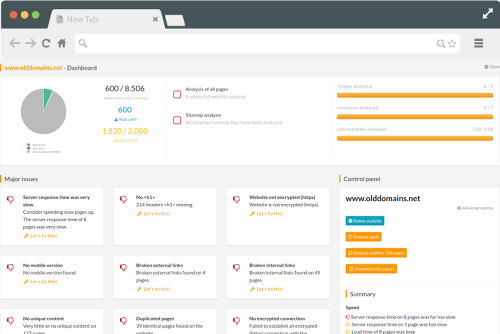 Pulno checks websites for search engine optimization issues. Detailed report makes those issues easy to find, understand and fix. 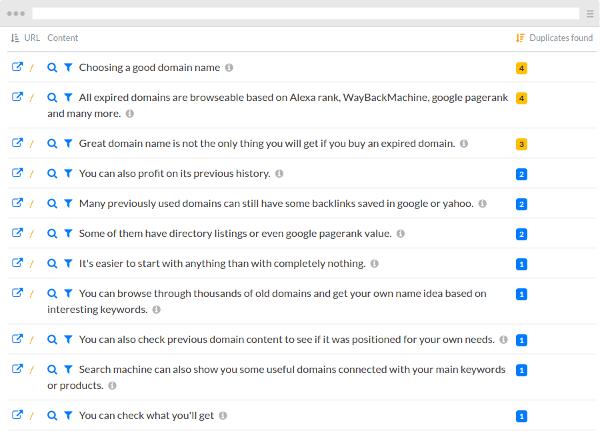 Pulno scans the website in search of over 100 factors which can block access to top positions. Our analyzers check meta tags, content uniqueness, linking errors, page speed and many more. 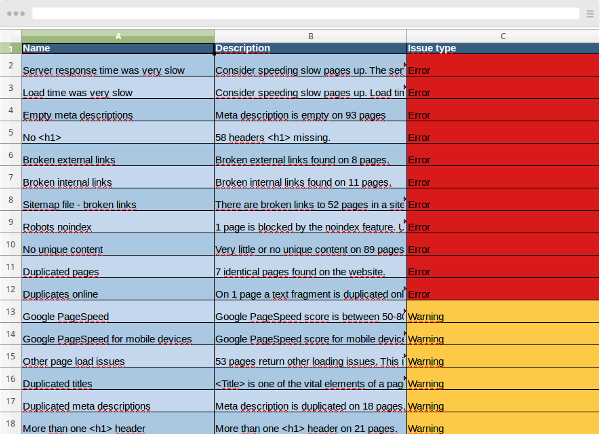 Final report is easy to understand and shows how to fix website issues. It comes with a comprehensive to-do list. 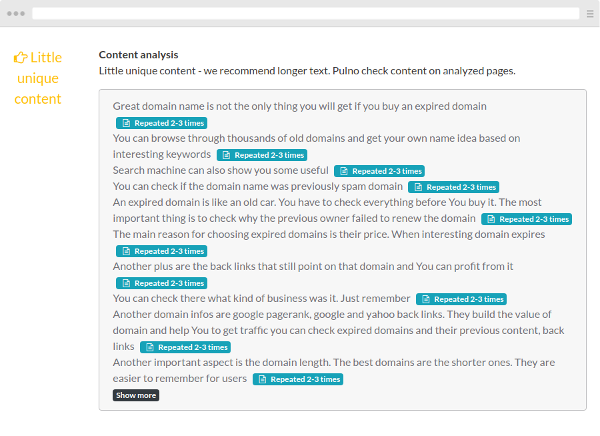 Analysis Over 100 parameters analyzed including speed, content duplication and meta tags. Experience We have over 12 years of experience in SEO project management. We know which issues to focus on and how to fix them. Reports Convenient, comprehensible reports that can be exported to many file formats make SEO issues easier to fix.